Here in America we’re still a year away from our Presidential election which means that we’re currently in the throes of campaign season. No matter where we are we can’t escape the constant barrage of candidates selling themselves to us and yet I still haven’t heard any candidate talk about the Number One Issue: what pets will they be bringing to the White House and will they be fun pets (like the alligator a certain 19th century president kept in a bathtub) and will these pets respond to children’s letters (thank you, Socks the Cat) and will these pets ever ride in an elevator despite being comically too large (like a HORSE)? These are important questions that I know we all demand answers to but until candidates start addressing the real issues here are some books about pets in the White House to hold us over. As I began to research this post I quickly learned that there are two types of books about presidential pets: there are the books that try and offer a cute but serious history and there are books that don’t pretend we’re serious adults and just give us the weird stuff. Presidential Pets: The Weird, Wacky, Little, Big, Scary, Strange Animals That Have Lived In The White House by Julia Moberg is the star example of that second category. 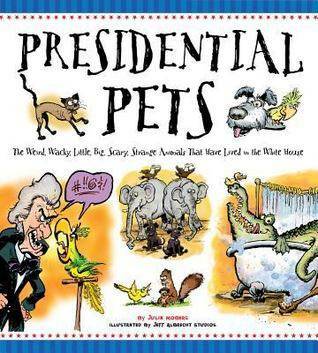 Bright cartoon illustrations accompany brief trivia about various First Pets and the presidents they lived with. If you want a more narrative account of whacky presidential pets there’s Peter W. Barnes and Cheryl S. Barnes’ President Adam’s Alligator: and Other White House Pets, an illustrated story that’s great for reading aloud to future scholars of presidential pets. 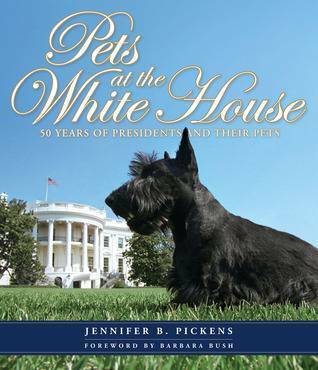 For readers looking for presidential pet stories with a bit more substance than picture books Roy Rowan and Brooke Janis have First Dogs: American Presidents and Their Best Friends, a chapter book with 10 tales about some of our more notable presidential canines. Do you know what’s terrifying to me? It’s terrifying that there are children alive today who are too young to remember President Obama’s election promise to put a puppy in the White House if he was elected. For kids who can’t remember a time when Bo the Portuguese Water Dog wasn’t a fixture of their lives, there are some beautiful picture books to teach them something new. Beth Zappitello and Patrick Lewis have not one but TWO books out about Bo, both with Tim Bowers’ charming illustrations. 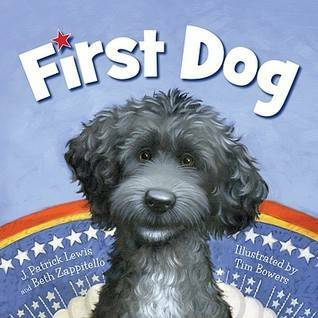 The first in their series is the First Dog, a multinational (and fictional) account of how Bo found his way into the Obama’s home, with a sequel all about Christmas at the White House in which Bo learns about Christmas traditions around the world (First Dog’s White House Christmas). For a more true-to-life account of Bo’s arrival at the White House there’s The First Pup: The Real Story of How Bo Got to the White House by Bob Staake. If you’re like me you’ve probably been searching for the perfect coffee-table book to say, “I’m a mature adult who enjoys thinking about the complex duality inherent in the public-private lives of the First Family and how the façade of privacy is used to create public spaces that make our elected leaders feel more human and also I like to look at pictures of cute cats.” Pets at the White House: 50 Years of Presidents and Their Pets, Jennifer B. Pickens’ glossy mixture of stories and snapshots of White House pets, is the perfect coffee-table book to show that you’re a dedicated scholar with a soft-cuddly side. Now I know some of you are currently thinking, “I’m not in the mood for non-fiction, what I really want are some fictional stories about the real pets who’ve lived in the White House. 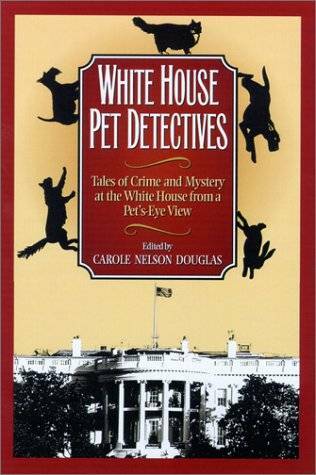 Also I want the pets to solve mysteries.” Well don’t worry because I found White House Pet Detectives: Tales of Crime and Mystery at the White House from a Pet’s-Eye View a collection edited by Carole Nelson Douglas which combines White House pet facts with 2-minute mysteries to puzzle your brain.